NEW ORLEANS – May 21, 2017 – Spotwise, the technology company making surface parking management and operation more efficient, today launched at the International Parking Institute (IPI) Conference and Expo its flagship product, Intelligent Enforcement. The cloud-based Web dashboard and corresponding mobile app provide seamless, quick-glance violation identification along with real-time analytics that help lot operators drive more ticket revenue and increase auditor efficiency. Premier Parking, a leading national parking operator and management company serving mixed-use facilities, sports stadiums and arenas, hospitals, and commercial office buildings, has signed on with Spotwise for its Intelligent Enforcement solution, the company announced. Intelligent Enforcement utilizes real-time analytics to direct lot operators and managers to their most profitable sources of ticket revenue. From the web dashboard, managers zero in on the best places and times to write tickets. The dashboard also collects insights on individual auditor performance. For auditors, the mobile app intelligently prioritizes lot locations by expiring payments, auditor location, events and concerts, and historical ticketing data. It also presents a color-coded view of who has paid, upcoming expirations, and unpaid spaces. The app integrates with leading ticket-writing software and payment systems for seamless ticketing. Intelligent Enforcement trials with Premier Parking drove an increase of 80 percent in tickets per hour written by auditors. Significant time saved from avoiding empty lots and printing stall reports freed auditors to become more effective. The intuitive interface, fast violation identification, and real-time payment updates resulted in more tickets, fewer voids, and happier enforcement staff. Spotwise’s products complement and integrate with existing parking technologies, including T2/Digital, Parkmobile, Ballparc Enforcement, and more, making setup and implementation a streamlined process. Spotwise also makes Spotwise Vision, a surface parking monitoring camera and management system for owners, operators and enforcement. Using computer vision, machine learning and off-the-shelf surveillance cameras, Spotwise Vision is a high accuracy, low cost solution for parking operators. The Vision dashboard and API provide real-time and historical stats on occupancy, payments, violations and vacant spaces. Spotwise Vision seamlessly integrates with the Intelligent Enforcement app so auditors and managers can see real time lot images and spot potential violations. For more information, visit www.Spotwise.co. Spot Innovation Inc.’s cloud-based software solutions help parking lot owners and managers combat operational inefficiency in ungated surface parking lots. The company’s products detect violators, route enforcement personnel, and streamline the ticket-writing process. Integration with existing platforms T2 Systems, Ballparc, and ParkMobile streamlines actionable feedback for operators to cost-effectively price and police their lots. For more information, visit Spotwise’s website http://spotwise.co/. 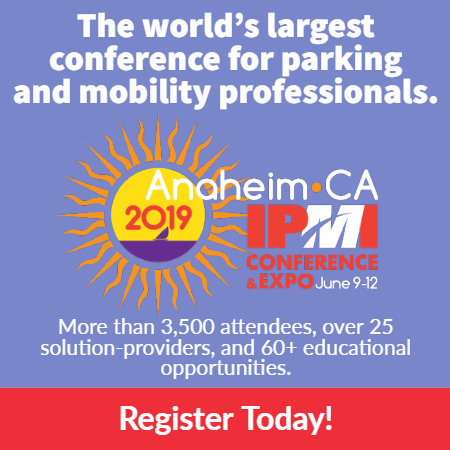 Premier Parking is quickly becoming a leader in the parking industry. Unparalleled customer service, innovative and forward-thinking solutions and a technology focused approach have led Premier to operate, manage and support a wide range of industries such as commercial grade office buildings; mixed use facilities; sporting events, stadiums and arenas; valet and special event parking; and hospital and healthcare facility parking. With an emphasis on excellence, Premier Parking provides unmatched customer service and on-site management for all clients and customers through a parking management philosophy that benefits each party involved.